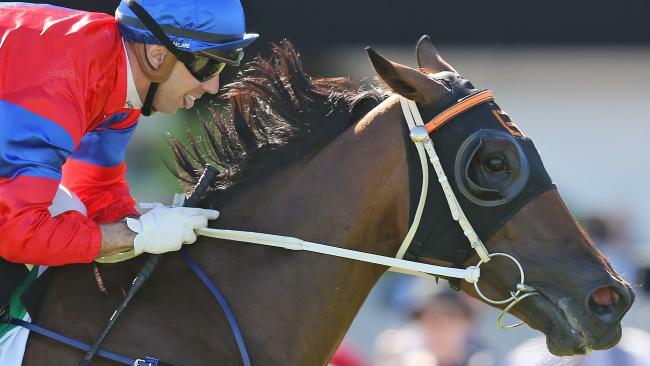 THE $500,000 Canterbury Stakes (1300m) at Royal Randwick on Saturday looks perfect for Clearly Innocent, but trainer Kris Lees says stablemate Invincible Gem can beat him and take out the Group 1 sprint. Clearly Innocent has been good over 1200m at Group 1 level, but a slightly longer trip turns him into a real star and Lees knows Saturday's race sets up well for him second-up where he's more effective. "He's much better at 1300m and 1400m than 1200m," Lees said. "He just gets a little more time to wind up and go through his gears. It looks a nice option for him. Both preparations for me he's improved and any rain around will enhance his chances as well. "Last preparation we probably had him really ready first-up to try and get him into The Everest, then he raced a bit flat in The Everest, so I'd like to think he's going to improve into this preparation." Clearly Innocent ran sixth of eight in the Group 3 Southern Cross Stakes (1200m) first-up but he was held up and never got a crack at them before looking strong to the line late. Lees was certain he would have challenged for a win that day if he got clear running and feels he's in for a big campaign, including a possible crack at Randwick's biggest mile race. "I think 1400m is his pet distance but I'm pretty keen to try him over further and he possibly goes to a Doncaster Mile," he said. Lees is excited about Invincible Gem, who is first-up and is coming off colic surgery. Before that she upstaged stablemate and multiple Group 1 winner Le Romain first-up in the Group 2 Missile Stakes (1200m) last August and ran well behind Happy Clapper when third in the Group 2 Tramway Stakes (1400m). Lees said it would be foolish to think she can't return with a win. 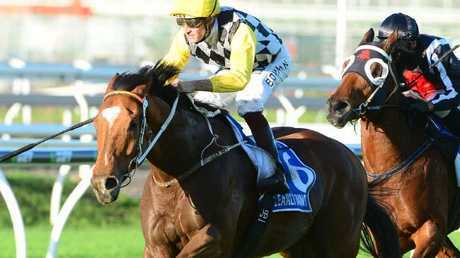 Trainer Kris Lees says Clearly Innocent could target the Doncaster Mile. "She's a high-class mare," he said. "She beat Le Romain first-up at weight-for-age last preparation. She's had a few good trials and she got under our guard a bit last time and could easily do it again." The only concern for Lees was that running 1300m first-up off such a long break may tell in the final 100m. 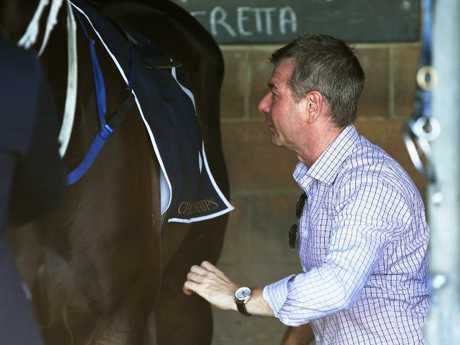 Outside his stable he highlighted Global Glamour as the one to beat. "I'd probably slightly lead towards Clearly Innocent because he's had the one run back, but I think the mare is a little bit underrated and it wouldn't surprise me to see her figure in the finish," he said. Meanwhile, top-line sprinter Menari won't be seen this autumn after sustaining an injury to its near-side fetlock late last month and hasn't responded well enough to treatment according to trainer Gerald Ryan.